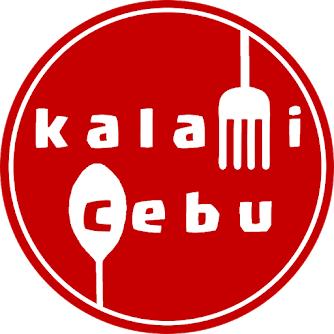 There are now so many interesting Cafes in Cebu. While driving to Ayala, I passed by this new coffeeshop in F. Cabahug Street with a tarpaulin that said, "Hello Cebu! Welcome to Ironbound Coffee". It definitely sparked some curiosity in me. I wanted to make a U-Turn and have lunch there, but since I had to meet someone in Mango Avenue, I decided to do my cafe exploration at a later time. My meeting ended surprisingly early, so I was able to check out the new place. Ironbound Coffee is just in its soft opening. They do not have air conditioning yet. There were also construction workers putting the finishing touches for this new cafe. At first, I thought that it was just like the usual cafe in Cebu that served lattes, frappes, and some desserts. I asked the attendant named Erly about their specialties. Erly told me that they serve Syphon Coffee, which is what they expect the place to be known for. I never had syphon coffee before, so I immediately ordered one. 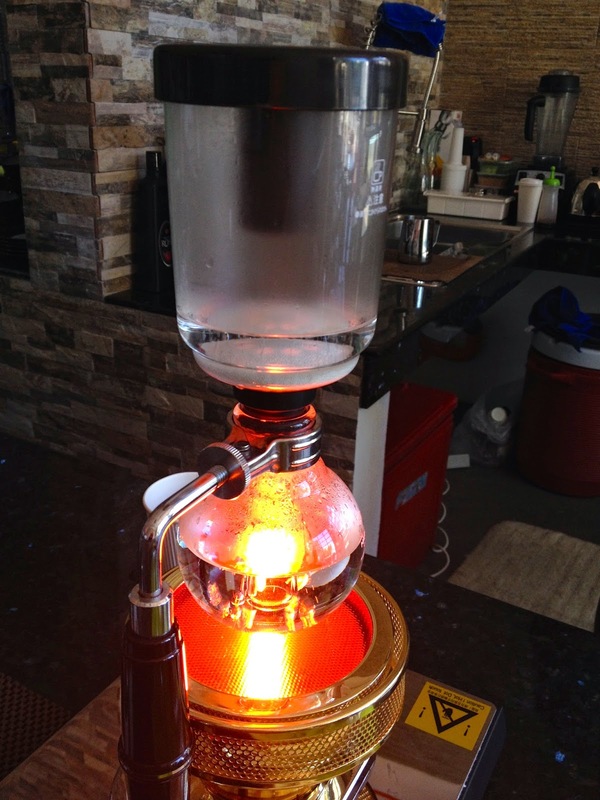 Syphon coffee brewing is one of the most unique and demanding methods to make coffee. The process really reminded me of some sort of Japanese tea ceremony that we tried to perform way back when we were in high school. 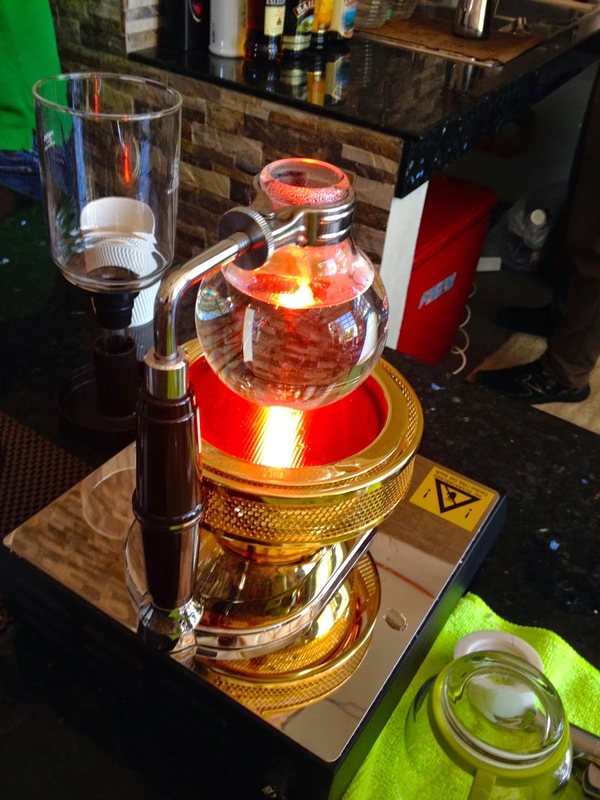 I really observed how Erly made my 139 peso cup of Syphon Coffee. Step 1: Grind the coffee beans. I really enjoyed my visit there, as the attendants were so knowledgable about their products. They gave me some information about the steps in making a great cup of coffee. They told me that Ironbound uses only Arabica beans. 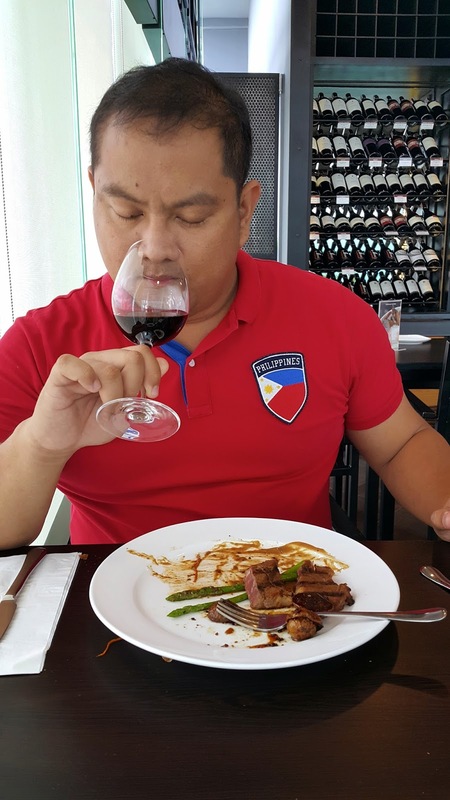 The coffee beans come from Panama and it is roasted in the Philippines. The owners have a high attention to detail that they really trained their attendants and made them some sort of coffee enthusiasts. Step 2: Pour hot water into the bottom component of the syphon or the bulb. There are 2 parts of a syphon, the bottom part is called the bulb and it shaped liked the old-fashioned light bulbs. The top part is called the hopper. Step 3: Turn on the Halogen Burner and bring the water to a boil. Halogen burners are the most expensive among the burners used for siphon/syphon coffee brewing. Ironbound Coffee is not taking compromises and they make sure that they use the best materials available. Step 4: Attach the top compartment of the syphon or the hopper. The water will be pushed up from the bulb to the hopper due to the difference in pressure in the 2 parts of the syphon. I think a physics teacher can explain the phenomenon better. Eventually, almost all the water was inside the hopper. Step 5: Open the cover of the hopper and pour the finely ground coffee into the water. This is usually done when almost all the water has transferred to the upper compartment. Step 6: Stir slowly and let all the coffee submerge into the water. Let the mixture brew peacefully for a minute. Step 7: Remove the syphon from the heat source. As the lower chamber cools, it sort of creates a vacuum and the brewed coffee from the hopper will be "pulled back" to the bulb. Step 8: Remove the top part and let the coffee rest for a bit. While exploring Ironbound Coffee, I found a coffee table book entitled, "Coffee Obsession" by Anette Moldvaer. The book is all about the different brewing methods to create some amazing coffees. If the baristas at Ironbound Coffee were trained using this book, I might consider applying for a part time job here. The title of the book was apt for the coffee adventure that I was experiencing. Step 9: Pour the coffee into a cup and add sugar and/or milk to your liking. At Ironbound Coffee, I was given some steamed milk and some muscovado. Step 10: Take a selfie and enjoy your delicious cup of syphon coffee. I really enjoyed the syphon coffee. I liked watching how it was made and the painstaking steps to make 1 cup or let's say 1 and a half cup of freshly brewed coffee. I have not seen this done in any coffeeshops that I have been to here in Cebu. The attendants told me that UCC Cafe has syphon coffee; but, I do not think the diners there experience how syphon coffee is made up close and personal. I was really fortunate to have visited Ironbound before it becomes the next coffee sensation in Cebu. I am also very grateful to the baristas, who somehow increased my knowledge about coffee by leaps and bounds in this one relaxing afternoon in February. I will surely come back to Ironbound Coffee to try out their other interesting brewing methods. How to get there: From Ayala drive towards F. Cabahug Street. Drive towards the 3rd corner from the J. Luna traffic light and a right. Ironbound coffee is on the right side of the street after turning. They have some parking space in front of the cafe. Does Ironbound Coffee offer cold blends as well? The process of making coffee is really interesting. 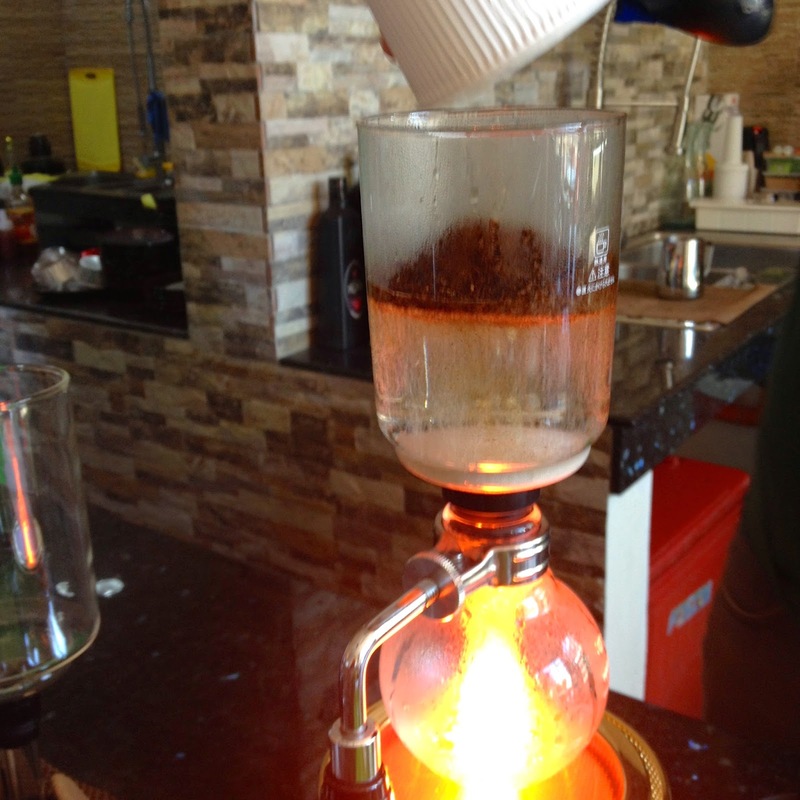 We will be going to Cebu this May and hopefully we can also experience drinking the syphon coffee. I'm sure this is going to be a hit! I love Cebu and I love coffee. Perfect combination! 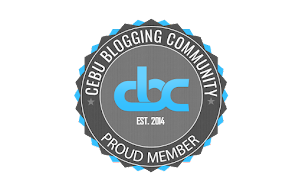 now looking forward to visiting Cebu again this summer! what time do they open? are they open for breakfast? The serve meals too. Had their burger and it was one of the best in town. You can really tell coz they used all fresh beef meat, veges and etc. Aside from their interesting brewing method such as Syphon and areo... something haha, they also serve coffee with a twist of liquor! Never had that in any coffee shops ive been anywhere in Philippines. Something that people not just Cebuanos have to look forward. They offer coffee and tea with a twist of liquor too. Something really new! 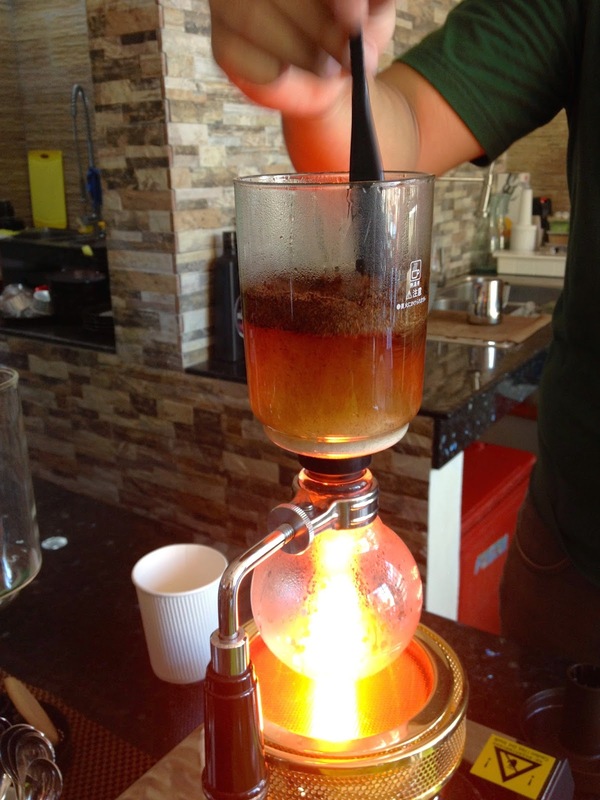 The first time I tried drinking coffee brewed in a syphon was in a coffee shop in Antipolo and then in Vietnam. It's great to hear that there is another coffee shop near my work place that offers this type of brewing. Is it self-service? If it is, I'll definitely enjoy drinking the siphon coffee I personally made. Syphon Coffee? Haven't heard about it until today. Darn, I should really taste it! Syphon coffee is interesting! It looks like a burner use in a laboratory for experiment, this is great to try since I am a coffeeholic addict. This is the coffee experience. Siphoning coffee is a great way to appreciate the process your coffee is made and I'm sure taste a lot better than machine brewed ones. 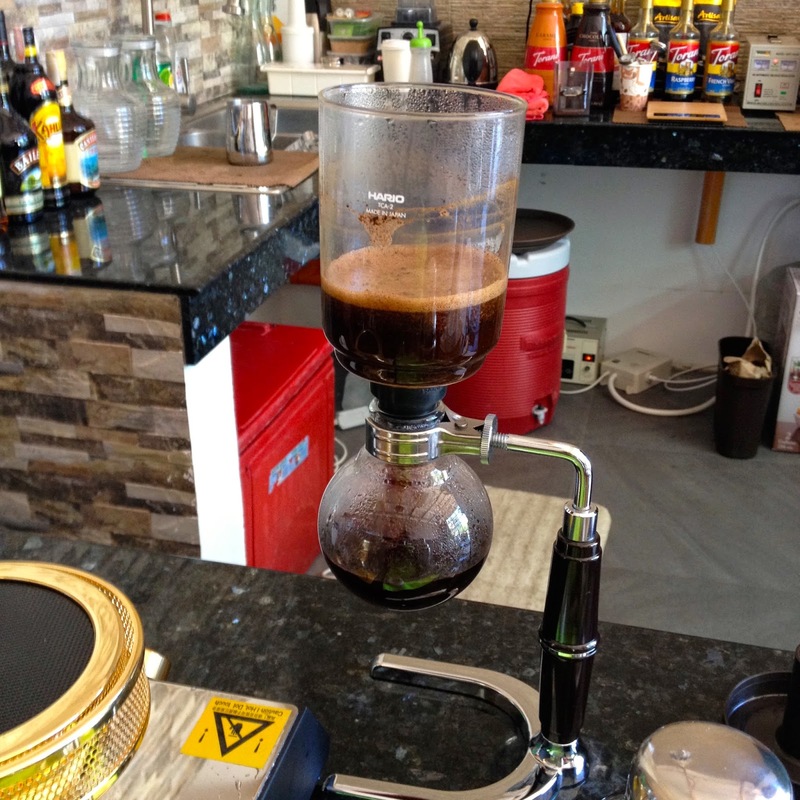 I am not into coffee stuff, but I really wanted to try that syphon coffee, for my wife na lang. They have other brewing method aside from Syphon.. Aero Press and Pour-over. Never heard of those before so it must be exciting! Going there soon! I can't believe I work at Sykes and didn't have any idea about this coffee shop till now. Hah! I'll certainly go there soon. Now this is what you call a coffee experience! The process from the brewing down to the very last sip from your cup is one for the books. The coffee lover in me is brimming with delight! I'll have to try this. Real coffee! Haven't even heard about Syphon Coffee but it's worth the try! Must visit there soon! I feel like doing a science experiment. I like my coffee brewed and just black. hmmm really want to experiment to find out which process makes coffee taste better! Been a coffee addict for half of my life. This will complete the other half! Haha!